COUPLES are putting prudence before passion, with up to one in 10 now locking their wealth away from loved ones with a pre-nuptial agreement. Ten years after pre-nups became legally enforceable, couples are moving in together or walking down the aisle older than ever and have more to lose in a bitter split, according to family law expert Michael Taussig QC. “There used to be trickle of couples drawing up pre-nuptial agreements. That has become a steady stream,” Mr Taussig said yesterday. He estimated that before they became law in December 2000, pre-nups might have been used by .05 per cent of couples. That figure could now be as high as 10 per cent. Exact numbers are impossible to ascertain as the agreements, known legally as Binding Financial Arrangements, do not have to be registered with the Family Court. But the court is increasingly being asked to act as referee by couples who wish they had never signed pre-nups and want to wriggle out of them. At the same time, the cost of divorce is going through the roof, with millions of dollars at stake. This week, the ex-wife embroiled in what has been labelled the country’s most expensive divorce sued her lawyers, claiming they had ripped her off. Her legal costs so far are $10.5 million and her husband, who runs a gambling empire which he admits nets him $300,000 a week, has allegedly paid $26 million to his own legal team. 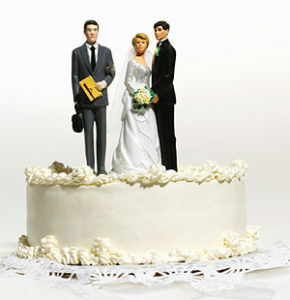 Multi-million dollar divorces were now becoming more common, Mr Taussig said. “We are talking about huge numbers,” he said. “I remember in my younger days as a lawyer if you hit an asset pool of $1 million, you thought that you had a humungous case. An everyday bride and groom, or de facto couple, can expect to pay about $1500 for a legally-binding pre-nup listing the assets they bring to the relationship – and intend to take out of it. But the cost can rise up to $30,000 or more, as some couples have homes across the world, including in the UK which does not recognise pre-nuptial agreements.